The following fundraising proposal is prepared to help generate resources for the 3000 plus children and their families who are in urgent need of critical supplies after the only Nodding Syndrome care facility in Uganda closed its doors on December 30, 2017. 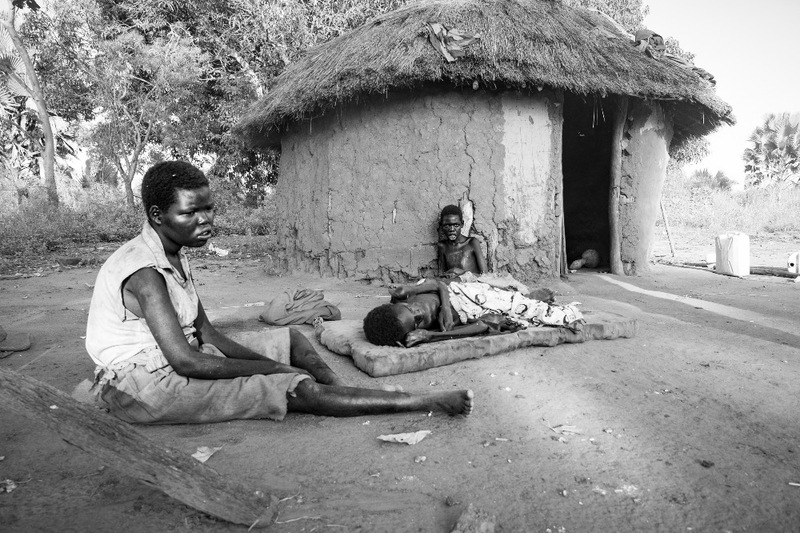 In 2006, at the age of twenty-two, I was sent to the Acholi tribal region of Northern Uganda to document atrocities of war. I was forever changed by what I witnessed. It was a time when extreme acts of carnage and kindness were taking place daily. 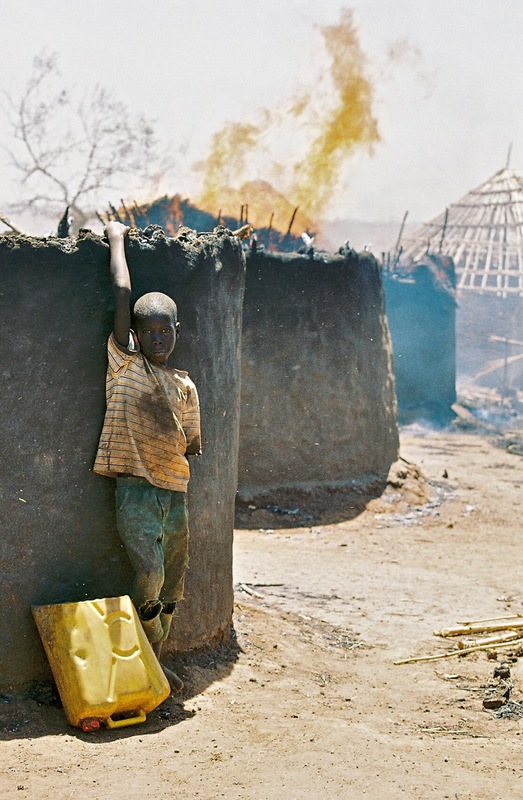 Children played as their villages burned and dead bodies littered open fields. I watched as Acholi tribal elders struggled to keep their culture, their history and their values alive. Their optimism for lives that would return to normal after the war was contagious. The future of the next generation was their beacon of light amid the darkness of war. The guns are now silent, but the peace they dreamed of has yet to return to their land as a new, insidious invader encroached. 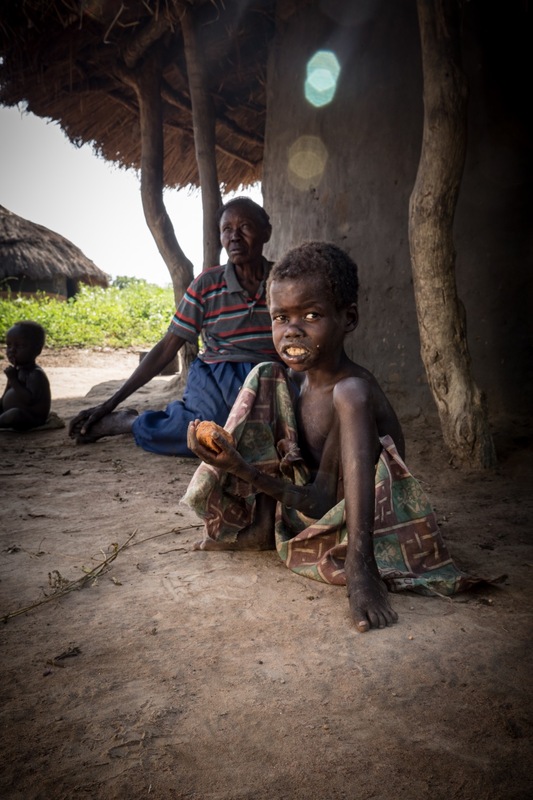 Nodding Syndrome, a mysterious and devastating disease that stops children from maturing and causes severe seizures, is threatening the children of this region and the future of the Acholi people. And now the only non-profit (Hope for Humans) in Northern Uganda that supports the communities affected by Nodding Disease Syndrome, closed its door on December 30 2017. This is due to the lack of adequate resources and government support to implement vital life saving activities for the sick children. 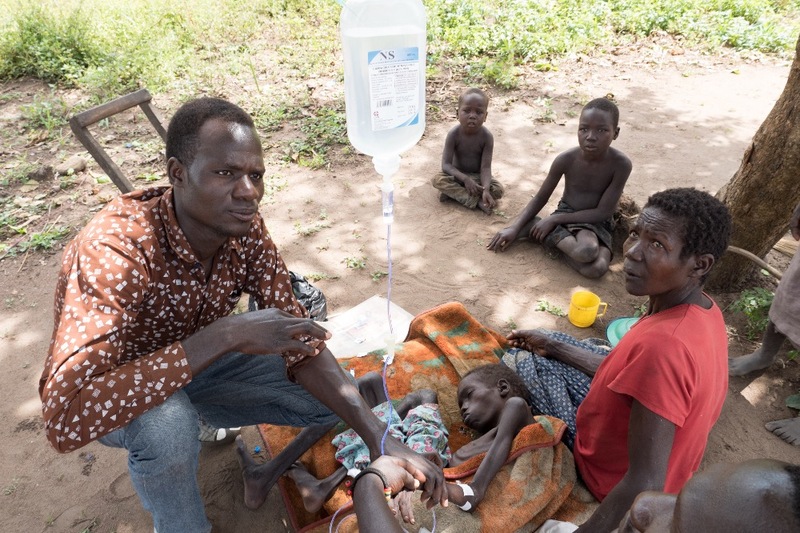 Relief services in Omoro and Kitgum Districts were singlehandedly funded by the founder of Hope of Humans – Dr. Suzanne Gazda and she has exhausted all her resources towards the establishment of the care facilities/ structures, essential nutrition & supplies for the kids, as well as administrative and staffing costs. 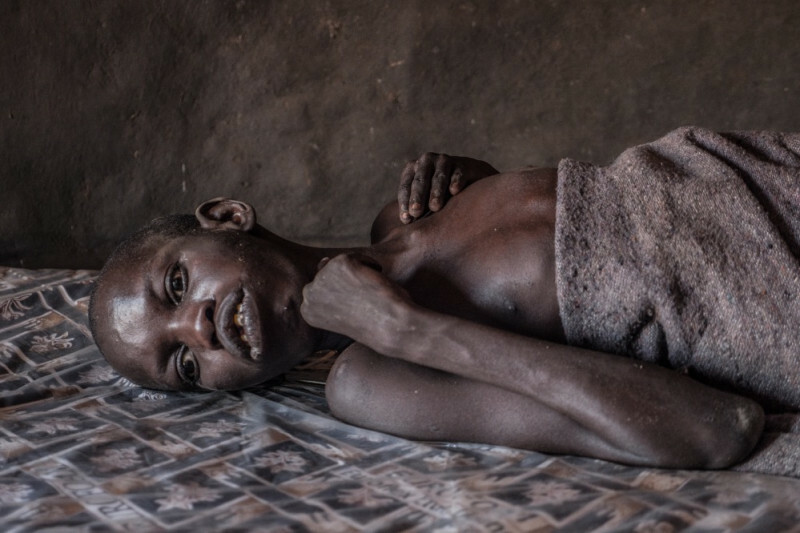 About me, my name is Tiff Gravel — I am filmmaker and resident of Uganda who has spent the past three years documenting the lives of those affected by Nodding Syndrome. Slowly the line between filmmaker and friend has been blurred. I truly care about these kids and their families. I cannot sit by and watch them die. So I have decided to team up with former Hope For Humans field nurse Oweka Johnson and a few other carefully selected advisors and together we are going to build a sustainable program to empower and care for these kids, their families and the communities they live in. Our main inspiration came from Opio Bellam, one of the children who has battled this condition most of his life. On first impression, Bellam looks years younger than his 18 years. His twin brother died shortly after birth with his mother following a few years later. His stepmother and father who is an alcoholic used to beat him and lock him in a hut. He has nowhere to go since the care center shutdown. After all this, he has not given up, Bellam still dreams of becoming an excellent tailor. Maybe one day he can make clothing for an international major fashion brand. Do his dreams matter as much as each one of us? Like Bellam, all these children have dreams that they aspire to. OUR GOAL - Is to transform and secure the lives of children living with Nodding Syndrome by addressing their health and nutritional needs. Educate their families, caregivers and communities as to how to manage and care for the children; maintain their rights to live a life of dignity and not of abuse and neglect. Phase 1: Urgently, the children need basic supplies like food, clothing, and shelter. These basic needs are a huge burden to their families, and so the children face neglect, abuse both sexual and physical, along with shame and humiliation. 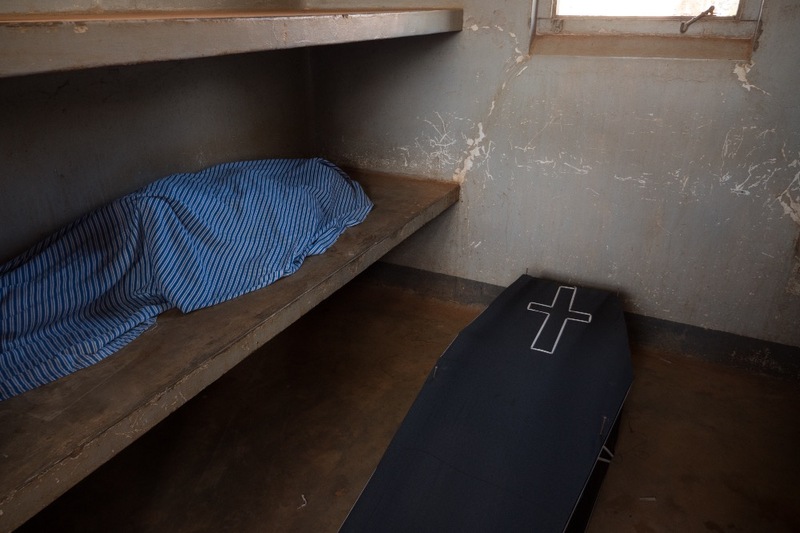 There are emergency cases when a child is burnt after falling in an open-pit fire and they cannot get to hospital and even if they got to the hospital, they do not have the finances to take care of the medical bills. Our outreach program will ensure that Village Health Team (VHT) nurses (some of whom were previously volunteering with Hope for Humans charity) to deliver and administer drugs and foodstuffs on motorbikes. 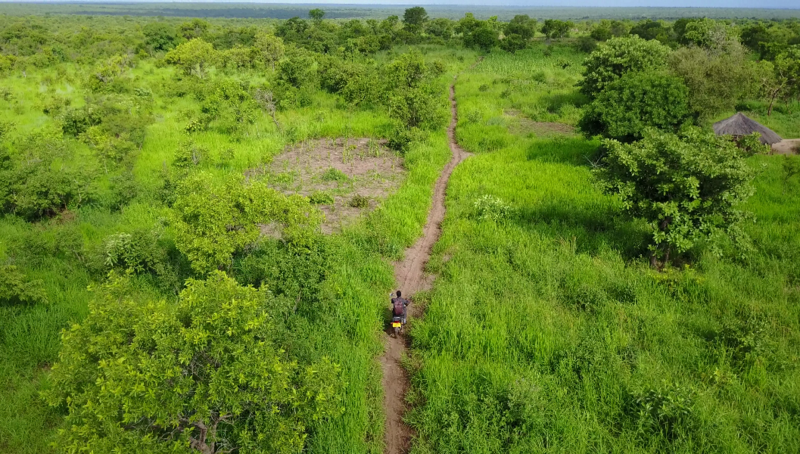 Under the guidance of Nurse Johnson who has done this for the last 3 years, they would be required to acquire motorcycles so that they can ride deep into the villages because some of the places have no proper roads and during the rainy season, the footpaths become impassable. The nurses will also carry out spontaneous visits to make sure the families are accountable for the health and nutritional needs of their children. The children have critical lifesaving needs, and as of January 5, 2018, we have received reports of children who have died during the Christmas holiday period after they were sent back to their homes. Phase 2: It easier to rehabilitate the children in their homes with the support of their families. The obvious benefit is that the family and the community are involved in the whole process and it is more self-sustainable. With your help, these children will be able to live meaningful lives in a family that gives them the respect and dignity they deserve to thrive in the community. Not only will this empower the parents and siblings to treat their sick family members in a more humane way, it is a far more cost effective and sustainable solution to caring for these children. Health: Currently, the parents have to walk over 26 miles to go to a medical facility to receive medication (anti –epileptic, anti- depressant, multivitamins and anti- psychotic drugs) donated through the State Ministry of Health. The parents have to purchase the anti-malarial drugs and painkillers separately out of pocket. 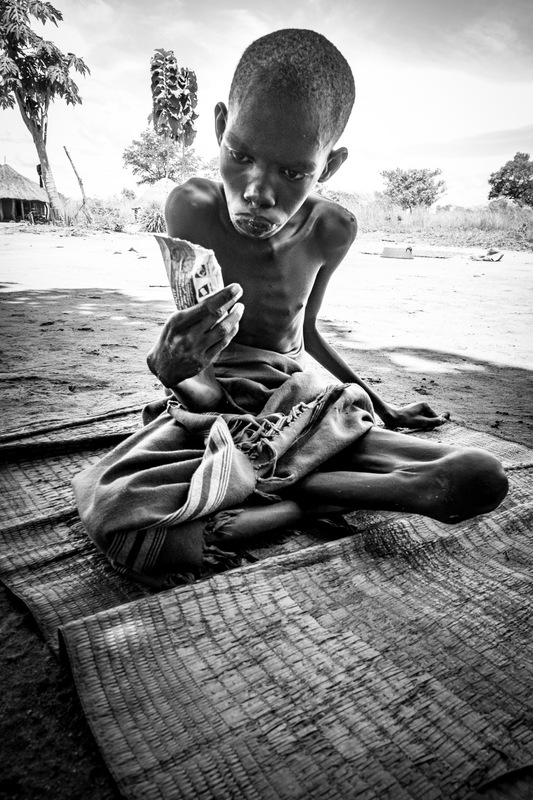 Majority of the children with Nodding Syndrome are aggressive and often wander away from home, especially when their caregivers are away to look for food. Some of these kids are severely burnt or sometimes drown in water and die. The girls are also raped when left on their own at home. Nutrition: The children need to be fed on a well-balanced diet. That also require appropriate food supplements as recommended by a nutritionist. Caregiving: Support volunteers made up of parents and relatives of children with Nodding Syndrome have to be trained on how to handle children with Nodding Syndrome. Education: The families and communities need to be trained on how to rehabilitate these children. Some of the children can resume school after their rehabilitation. The communities need to be sensitized because they have endured conflict and instability for more than 20 years. They are dealing with Post-Traumatic Stress Disorder (PTSD) of varying degrees and this affects how they perceive the children who have Nodding Syndrome. Along side of tackling all the issues above we wish to setup a nonprofit. Hope for Humans charity made a tough choice of having to close its operations. We aspire to learn from their struggles and to make different choices and to do things in a more sustainable manner. At the time of writing, there is no other organization willing to provide any type of program that caters for the health and education of these children and their communities. Instead, they are carrying out data collection and research. As a nonprofit, we can apply for funding, grants and be able to earn your trust in donations. At this stage, we are looking at Incorporation, Reserving a name, 501(c)(3) status, Basic Insurance Coverage, and Online presence (website, social media). Phase 3 - The bigger picture is to have a self-sustainable care facility specifically for Nodding syndrome patients that meets all their health and nutritional needs and where they can acquire quality education. The eradication of poverty and the provision of equitable and inclusive quality education for all are two intricately linked Sustainable Development Goals (SDGs). The funding to facilitate this program however, is a challenge. Why should we involve the community? We all are a product of our upbringing and our beliefs reflect our cultural experiences. We are part of the community and the community is part of us. People make decisions based on shared cultural values. Therefore, strategies alone will not be successful without the context of the culture of the communities within which they have to work. I do not have all the answers. However, because of a force greater than my own, I have been prepared in ways that I did not even know that I was being prepared for and the truth is, for me and every person, every single thing that has ever happened in your life is preparing you for a moment to come. The universe led you here and that is not a coincidence, your generosity gives us a chance to give these children a place that can enable them to thrive in a family that gives them the respect and dignity they deserve in the community. 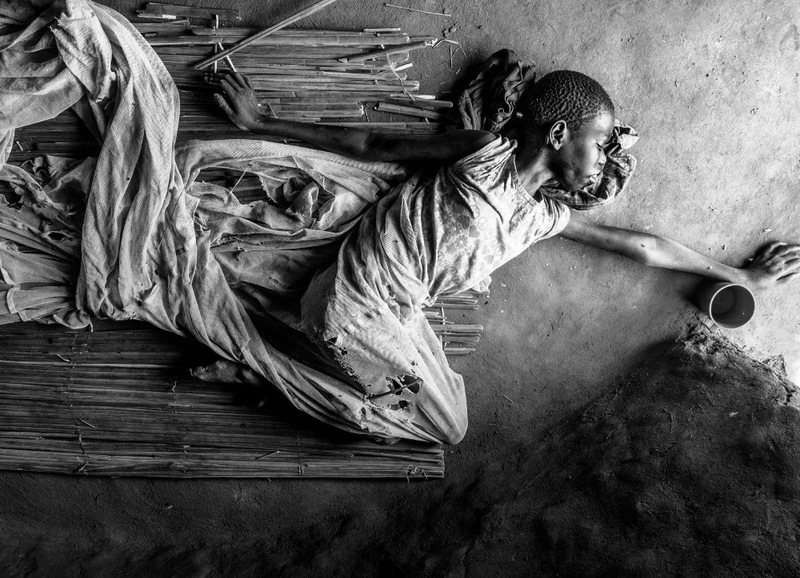 To date, the cause of Nodding Syndrome remains unknown and there is no cure, but the toxic stress it exerts on these children and their families continues every day. Tiff, Johnson and the team.